When it comes to providing complete home coverage, we can’t be beat. We also offer value through our money-saving service plans that help guarantee that your home operates efficiently and keeps you comfortable at one low price. Experience the Modern Mechanical difference and let us be your complete home services provider! We Respect and Value Our Customers' Time. 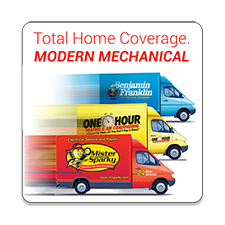 That’s why Modern Mechanical’s entire line of home services offer convenient windows that fit your schedule and budget. Being on time to a job is very important to us, because we know that it’s important to you. We’re also open seven days a week to address your heating and air conditioning, plumbing, electrical and solar issues whenever they arise–even on the weekend! We are Committed to Providing the Best Value in Home Services. We work hard to ensure the services we offer are worth the cost to our customers. Sure, there are cheaper mechanical home services providers out there, but they can’t compete with our high standard for customer service, our quality parts and workmanship, and the protection we offer through our home services plans. We want our customers to be completely satisfied, so if you feel your service wasn’t worth the money, let us know and we will do what it takes to make it right. We are Dedicated to Delivering Superior Customer Service. We strive for complete customer satisfaction after every job, so if you aren’t satisfied, let us know and we will do what it takes to make things right. When you’ve got a problem with your home mechanical systems, trust our friendly, licensed and well-trained technicians. We vet and train our employees thoroughly to ensure they are professionals you feel comfortable welcoming into your home. We also want you to be confident that our superior staff will do the job right the first time, leaving the work area clean and tidy. 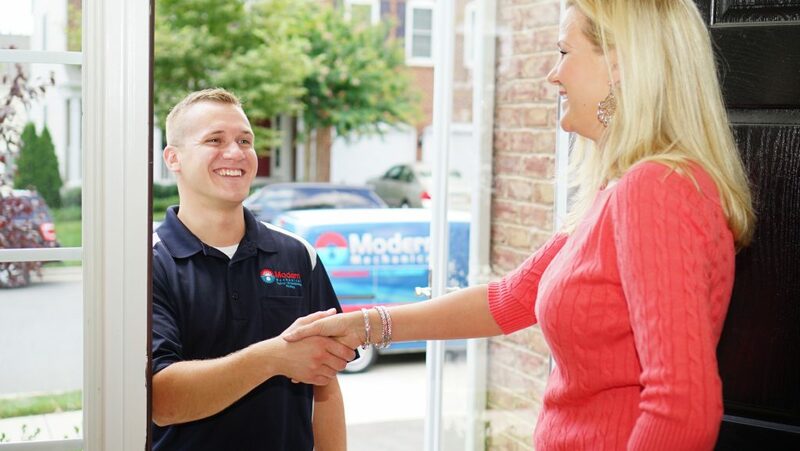 You can count on Modern Mechanical to deliver the best customer service in the industry. We are Dedicated to Professionalism. Professionalism is important to Modern Mechanical because we want to be leaders in the home services industry. We only hire the best technicians because we care about the people we send to your home and we want our customers to be completely satisfied. All of our technicians are fully-equipped and well-trained. When you call Modern Mechanical, we dispatch a polite and courteous professional to tackle your mechanical system problem. We Stand by Our Workmanship and Our Products. Our technicians are trained to do the job right the first time and to leave the work area clean and tidy when the job is complete. We don’t cut corners because your family’s comfort and safety are important to us too. We choose the best parts available because we want to provide home mechanical system solutions that last and will perform as expected for years to come. We partner with brands like Lennox to bring you the highest quality system components at a reasonable price. If you aren’t completely satisfied with your service, let us know and we’ll do what it takes to make things right. We Believe Safety Comes First. The safety of your family and our staff is very important to us. Even though we strive to make our service as convenient as possible for our customers, we don’t offer 24-hour emergency service because we want our technicians to be well-rested for every job and to have a healthy work-life balance. Every Modern Mechanical truck is equipped with first aid kit and we have a strict no texting while driving policy for our technicians. With Modern Mechanical, safety always comes first! We are Active and Responsible Members of Our Community.